Tamarack Institute’s Paul Born is giving a workshop on October 28th here in Edmonton called Deepening Community for Collective Impact. I encourage you to think about attending, whether you are a service provider, funder, government representative, or a citizen concerned about how to build and nurture stronger communities. 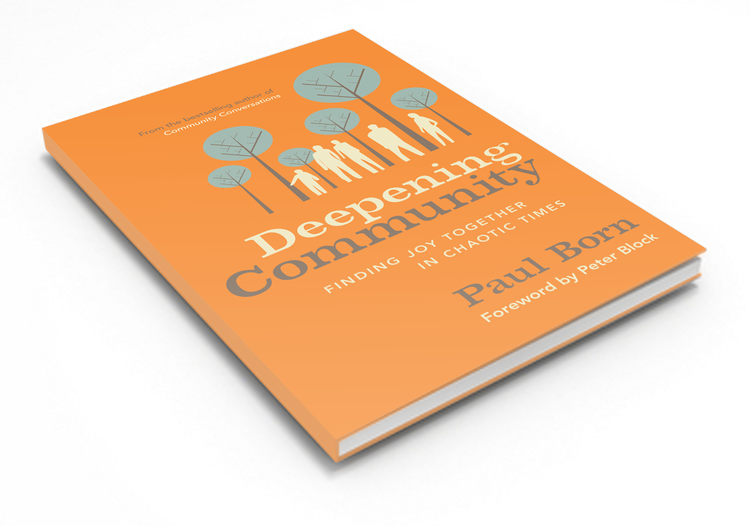 From the event information page: ” In his recently released book, Paul Born describes the four pillars of deep community: sharing our stories, taking the time to enjoy one another, taking care of one another, and working together for a better world. It’s up to us to create community. In this workshop, Paul will apply the principles of Deepening Community to the work of Collective Impact to help you strengthen relationships, build trust, and sustain momentum in your community change efforts. Each workshop attendee will receive a copy of Deepening Community: Finding Joy Together in Chaotic Times. Information and Registration is RIGHT HERE.